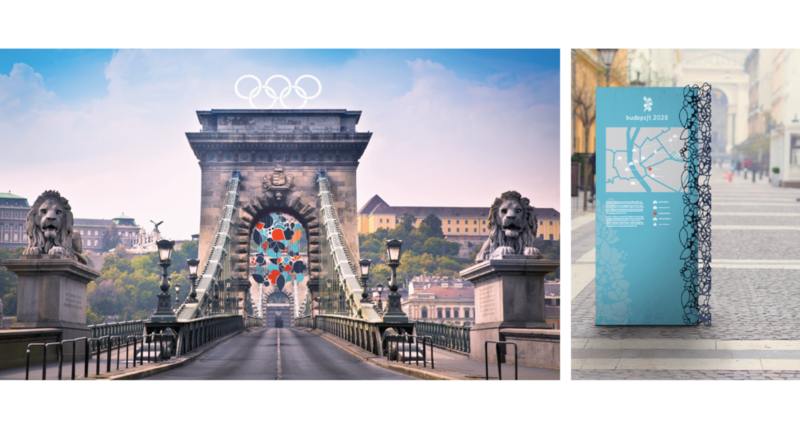 I created an identity for a hypothetical 2028 Budapest Olympics. The system visually embodies the rich and colorful architectural history of the city itself, in a way that also illustrated the beauty of the historical Hungarian aesthetic. The five flowers in the logo each represent one of the five main architectural styles in which the city was built: Gothic, Classical, Byzantine, Art Nouveau, and Modern. The shapes that comprise each flower are pulled directly from the predominant forms of each style. I then used those shapes to create the Olympic icons, as well as other assets that would build the rest of the brand.